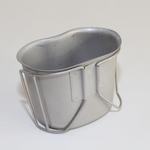 Used by countless of American and Canadian troops over the years, this Government Issue canteen cup feats neatly underneath the standard 1 quart canteen and can be used to boil water or heat food items in. Sturdy fold out handles allow it to be held without discomfort even when hot. These cups are made in the United States of stainless steel and can therefore be placed directly onto a fire or stove, or used with a small GI Cup stove. 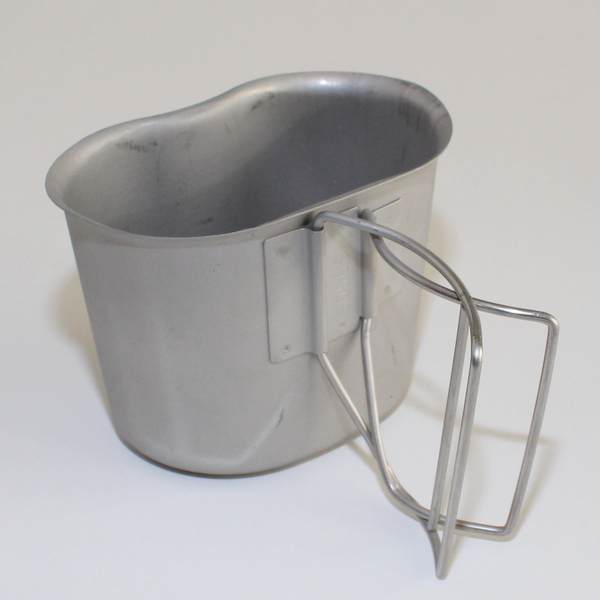 Our Cups are direct from US Government supplies, unused although they may have very minor storage marks.